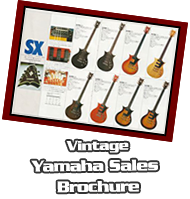 There's not much information about these rare Yamaha SX 800-B or any of the other models listed in this SX Series. 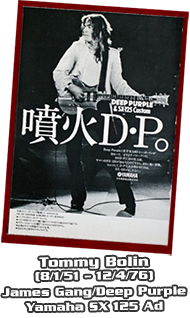 Maybe because the SX Series was solely produced for the Japanese guitar market or possible because they were manufactured in the mid-70's and considered part of that pre-Japanese law-suit era. 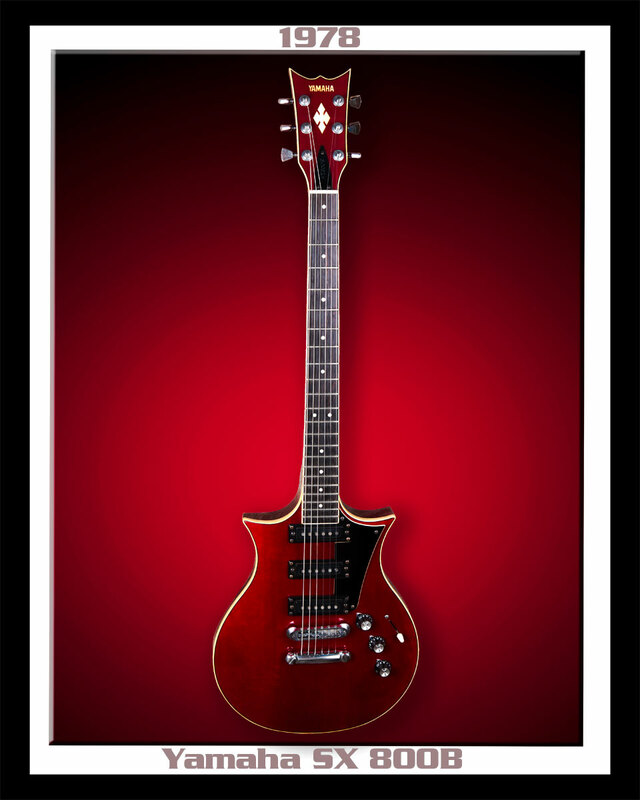 What ever the reason is this SX Series is another missing piece of Guitar History. This Yamaha SX is based on an old "ORGINAL" Japanese design. It also has this eery vintage Les Paul feel... because of some of the same specifications found in its Gibson counterpart from the "1950's GOLDEN AGE" of U.S. Guitar Manufacturing. That mid-50's "LES PAUL" eery-ness also found its way into the SX sound, with its Sharper & Brighter tone. 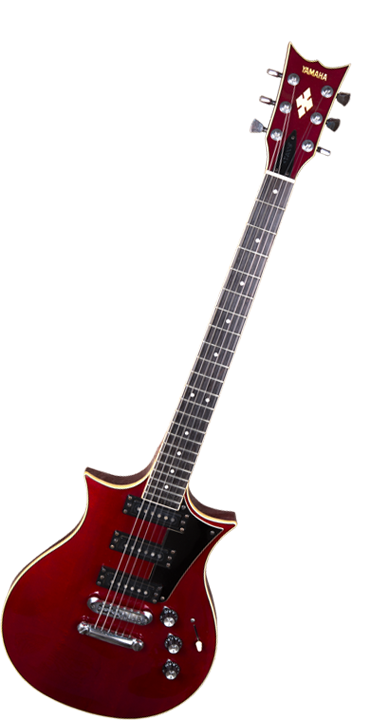 This Yamaha SX 800-B also includes a Ebony Fretboard mounted a Maple Neck. Including a longer scale similar to a Fender "STRAT" and has that traditional "STRAT" design... featuring 3 Blistering Single Coil Pickups. 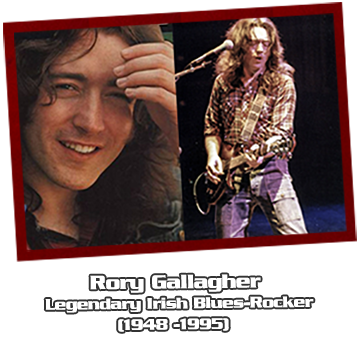 Notable players like... Tommy Bolin of the James Gang & Deep Purple (SX-125 model) and Rory Gallagher (SX-60/SX-800B) played various early versions of these SX Guitars. 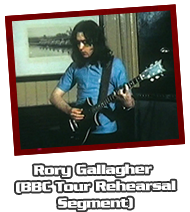 In 1978, when I was watching a TV report about the upcoming Rory Gallagher Tour, there was some "B-Roll" rehearsal footage in that segment. 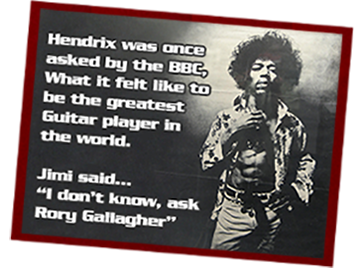 I recalled that Gallagher picking-up and playing his Yamaha SX-800.